Awesome to behold (from the Seattle Times, not my little camera). 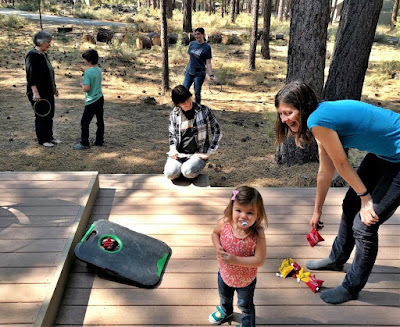 Family and friends looking at "first contact" when the moon first starts to eclipse the sun. 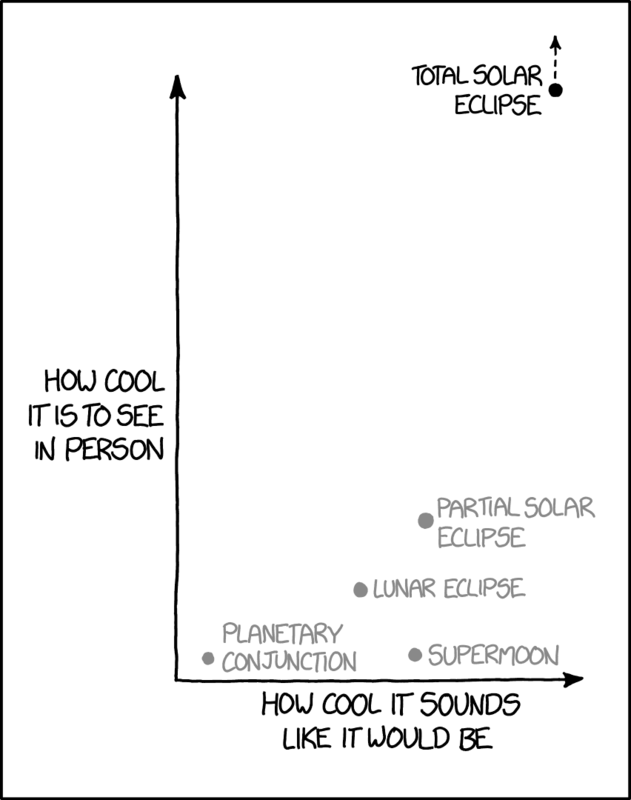 Our site by the Madras Municipal Airport was on the line of maximum totality. The price for those extra seconds of totality was to wait hours as the roads out of Madras were jammed to a standstill after the eclipse. We balanced the big event in the sky over the earth with a adventure hike under the earth. 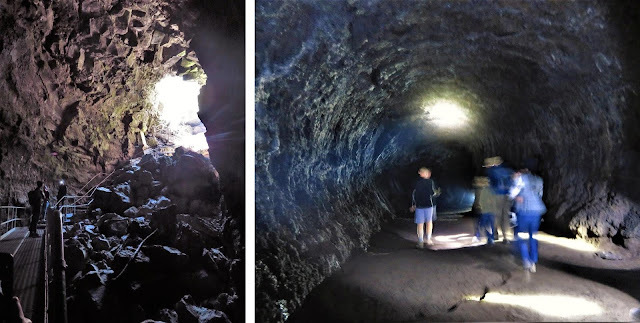 The Lava River Cave is a two-mile lava tube that was, as the park ranger put it, "not a show cave" ~ no lights just your flashlight, always cold, often with uneven, rocky footing. We loved it. 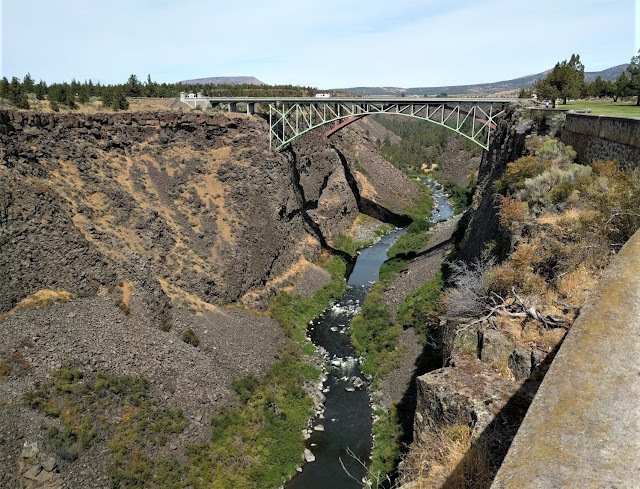 Driving on flat US-97 north of Redmond toward our eclipse site in Madras, I suddenly saw this surprising, scenic, Crooked River canyon. Worth enjoying from a nice, little adjacent viewpoint. Beautiful but ominous. 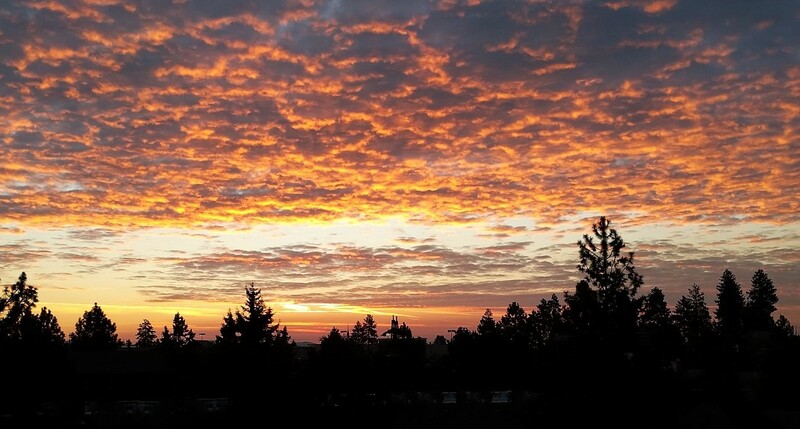 Sunrise over central Oregon three days before the eclipse. Happily no serious clouds floated over Madras the morning of the eclipse. As people arrived early in the morning to claim their reserved areas, we did see haze in the western sky near Mt. Jefferson but it never threatened the eastern rising and soon to be eclipsed sun. Even if clouds had blocked the sun, it would have been a good visit getting to see family. 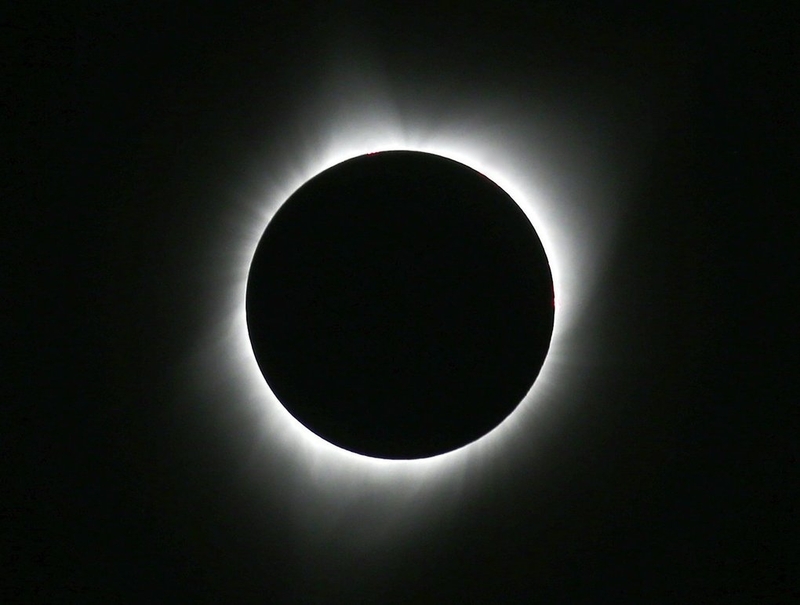 But since none of them had ever seen a total solar eclipse, this was a special treat to share the stunning "clockwork of the heavens" with them. My first totality was in Hungry in 1999. I've posted highlights of my eclipse trips to Libya (2006) and China (2008). 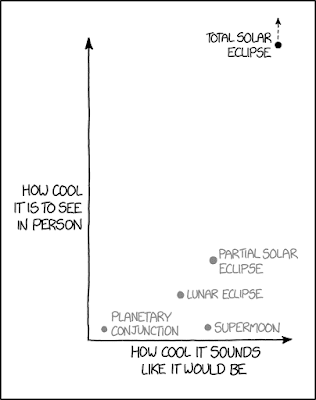 I also saw partial eclipses in Spain and Utah but partials are not remotely as breathtaking as a total eclipse. 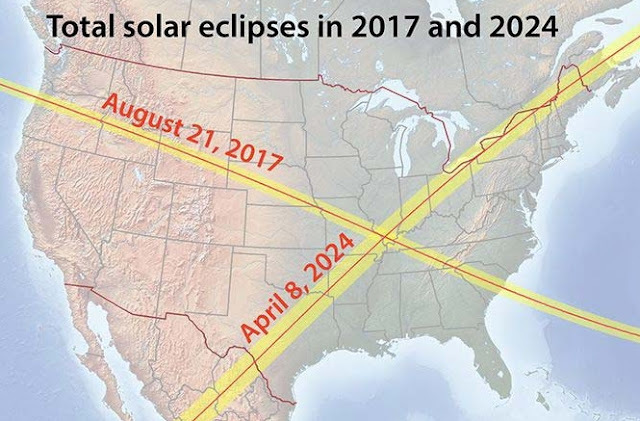 I've made plans to see the July 2, 2019 total eclipse over French Polynesia. 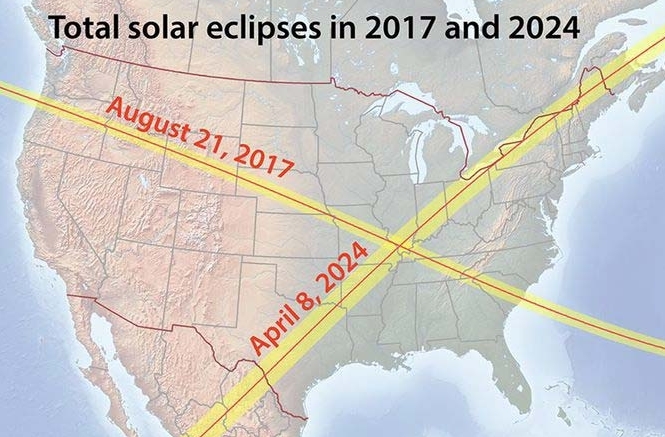 Plus, it is only seven years until the next eclipse over the USA!